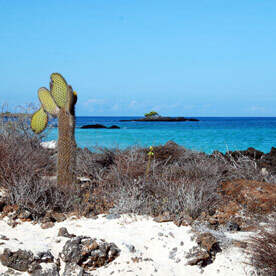 Home to the largest town in the Galapagos, Puerto Ayora, the Island has a large variety of vegetation. 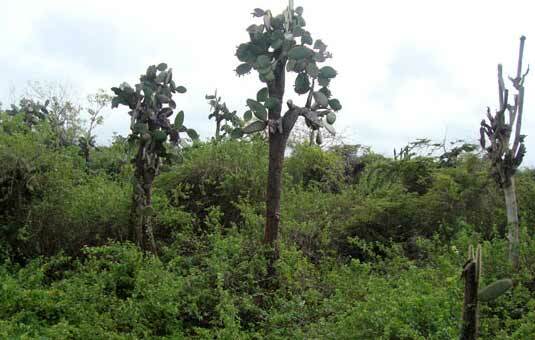 Pit craters, Scalesia Forest, cacti and ferns are found in its vegetation zones. 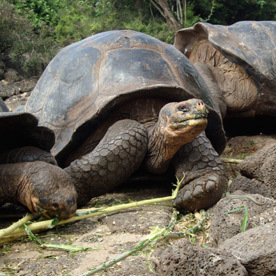 The island is comprised of a younger part formed by volcanic cones and lava and an older narrow strip of land formed by uplifted lava flows and tuffs. 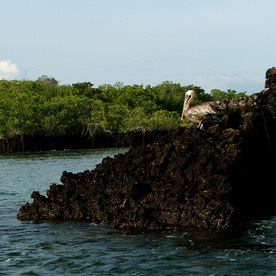 Santa Cruz is the only island with six different vegetation zones. 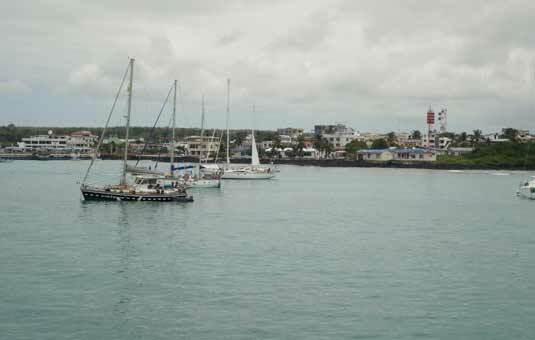 Puerto Ayora is the economic centre of Galapagos with many restaurants, souvenir shops, discotheques, bars, internet coffee shops and other stores. 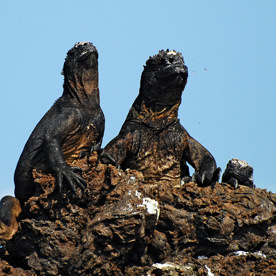 The bay is a good location to spot brown pelicans, golden rays, marine iguanas, herons, lava gulls, frigate birds, Galapagos sea lions, and large numbers of blue-footed boobies. 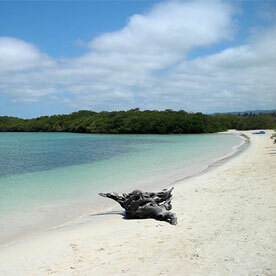 Situated on the northern side of Santa Cruz, El Garrapatero is a gorgeous sandy beach surrounded by mangroves. A fresh water lake behind the beach is home to flamingos, herons, stilts and other shore birds. 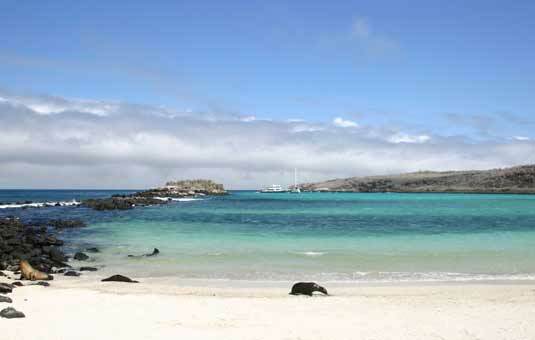 The beautiful turquoise waters provide a good opportunity for swimming and snorkeling. The lava tunnels on Santa Cruz were formed as the outer skin of molten lava solidified but the liquid magma inside continued flowing, leaving behind a series of empty tubes. 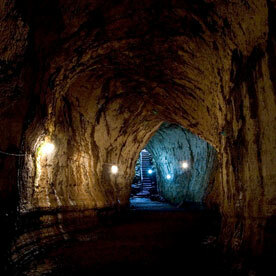 Visitors can walk through these underground channels, often more than a kilometer in length, and may have the opportunity to glimpse barn owls here. 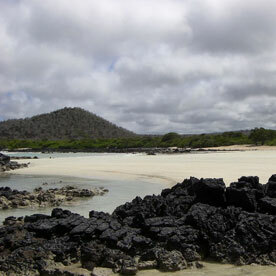 The white-sand beach of Tortuga Bay gets its name from the black sea turtles that lay their eggs here. 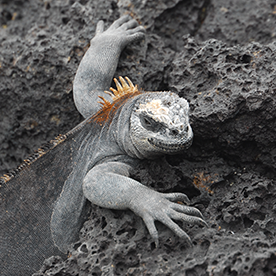 Other species to be seen include white-tip sharks and marine iguanas and the salt lagoon behind the mangroves is often frequented by flamingos. 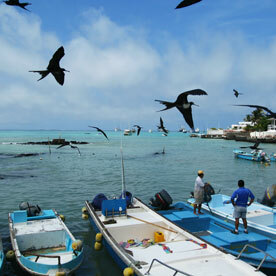 The site is excellent for bird watching and for enjoying a relaxing swim. 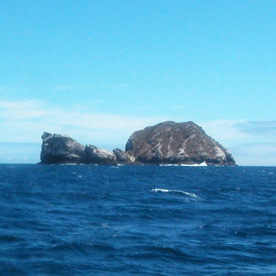 Whale Bay is the site of one of the oldest whaling camps on Santa Cruz Island. 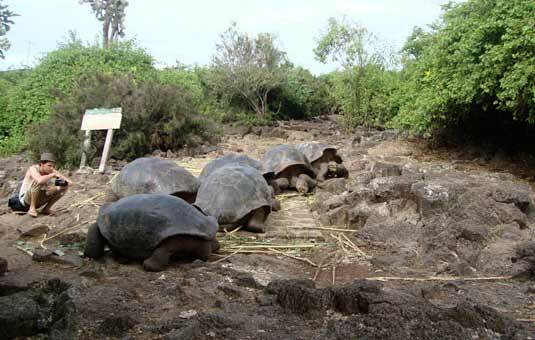 It was to here and the other similar camps that the giant tortoises were brought before being loaded onboard the whalers and pirate ships. The semicircle beach is green in color, due to a high volume of olivine crystals. The curious Galapagos hawk can also found here. Located within a volcanic crater, this dive site is definitely not for beginners. With several pinnacles of rock, and often super strong currents blowing between these, the various currents can make this dive a tricky one. Famous for its hammerhead sightings, other amazing life is found here, like sting rays, manta rays, turtles and moray eels. This partially submerged volcanic tuff cone has been referred to as "The Washing Machine" because of its strong currents. Oftentimes divers must grab hold of the rocky bottom or slope, and hold on, or crawl "front crawl style" in the direction of the dive plan. 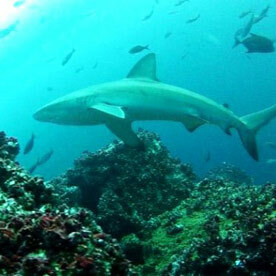 Experience: Minimum advanced open water and 30 dives recommended. Experience in currents and surges. 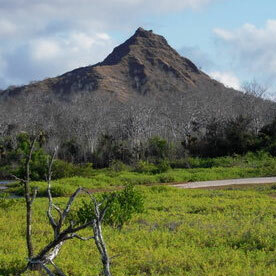 At 490m above sea level, Cerro Mesa provides an impressive view of the archipelago. 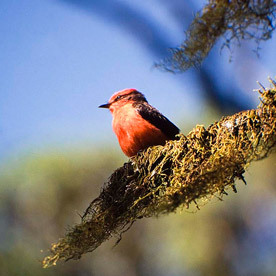 It is an excellent location to observe numerous endemic plants as well as up to 7 species of finch and the vermillion flycatcher. The area is characterized by a persistent drizzle ('la garúa') that falls horizontally throughout 8 months of the year. 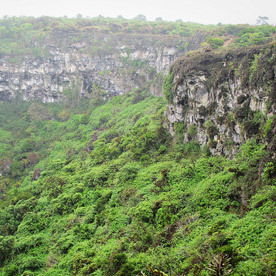 The west side features the largest crater on Santa Cruz. Difficulty: Easy to moderate: the trail may get muddy at times, and there is uneven rocky terrain. 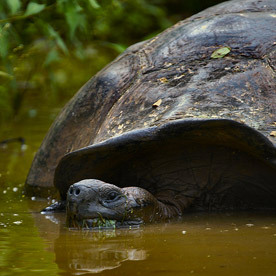 Highlights: Lava tunnels, wild turtles, tortoises breeding center.